With some of the most scenic, challenging and exciting golf courses in the United States, Amelia Island is the perfect destination for a golf vacation. You’ll find a wide range of Amelia Island golf courses that are suitable for many skill levels, and visiting a new course while vacationing there presents a fun and enjoyable outdoor experience that you shouldn’t miss. There are several beautiful golf courses located on or a short drive from the available Amelia Island vacation rentals, and taking the opportunity to play at one or more of these luxurious locations can add great value to your vacation in this scenic and relaxing area. This course is one of the most popular and is within close proximity to many of the available Fernandina Beach accommodations. With a straight and simple design, the course is easy to navigate but challenging enough to offer some fun variance on the game. The Fernandina Beach Golf Club offers 27 holes of golf, and each course is well over 3000 yards. This location also has a clubhouse and a full-service restaurant on site. The Golf Club of Amelia Island course can sometimes be thought of as rather elite, as it is meticulously maintained and offers an unforgettable experience during any golf vacation. Boasting a design that was created by a couple of PGA-Tour Veterans, this 18-hole course is as picturesque as it is challenging. At the first sighting of the natural landscape, consisting of the ocean shores and pine, palm, and oak trees that the course winds through, it is easy to see why the Golf Club of Amelia Island was nominated as the Best New Course of the Year when it was first opened. Be sure to check this course out if you’re booking vacation lodging on Amelia Island and want to test your skills out in a gorgeous setting. Beautifully constructed with ponds and lakes that decorate several of this course’s 18 holes, the Amelia River Golf Club presents a challenging yet fair course to players of all skill levels. Close to many of the vacation lodging options on the island, and well known for being one of the best Amelia island golf courses, this course offers five sets of tees in all. The final hole presents a majestic view of the Amelia River for which the golf club is named. Also available at this location are the clubhouse with its Cape Cod styling and a casual grill known as the River Cafe. Often seen as one of the biggest and best golf resorts, the Omni Amelia Island Plantation offers a total of 36 holes and consists of three championship courses designed by Pete Dye and Bobby Weed. This fabulous location has been named one of the “Top 121 Golf Resorts in the World,” and is also named a “Silver Medal Golf Resort” every year by Golf Magazine. Close to Amelia Island vacation rentals and other accommodations in the area, it would be far too easy to spend almost every spare minute of any vacation at this golf resort. The Oak Marsh signature course is full of tight fairways and small greens that are lined with marsh creeks and mossy oaks. The Ocean Links Golf Course is paradise for the water-loving golfer, as this course is riddled with tricky holes along the Atlantic Ocean, through the marshland, and around Red Maple Lake. 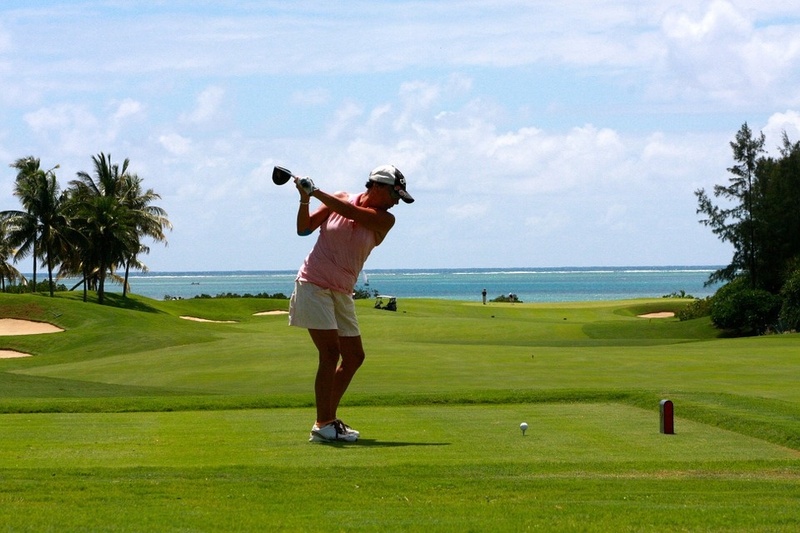 There is so much to see and so much of the game to enjoy at this particular resort while you’re enjoying your next golf vacation. Northeast Florida is famous for being the home of The PGA Tour, The Champions Tour, The Players Championship, and the World Golf Hall of Fame. Due to this fact, it is often referred as Florida’s First Coast of Golf, and the courses on Amelia Island are an important and historic fixture of that coast. With several amazing, professionally designed, and visually stunning golf courses available on or near Amelia Island, you’ll be sure to find the perfect option to play on. The sunshine, scenery, and the sub-tropical Florida climate make each and every Amelia Island golf course the ideal setting for relaxation, improving your game, or competing. Book one of the available Amelia Island vacation rentals now for your next golf vacation adventure and get the opportunity to see these stunning and challenging courses for yourself!